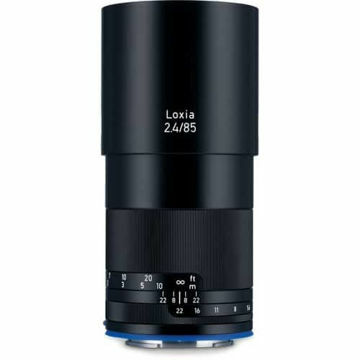 An impressive wide-angle characterized by its sleek form factor, the Sony E-mount Loxia 25mm f/2.4 from ZEISS is a versatile prime well-suited to variety of shooting applications, including landscape, nature, architecture, interior, and astrophotography. Utilizing a Distagon-type optical design, this lens uses one aspherical element and two anomalous partial dispersion elements to control both spherical and chromatic aberrations for improved sharpness and clarity. An enhanced ZEISS T* anti-reflective coating has also been applied to significantly reduce ghosting and lens flare for improved contrast and color fidelity. 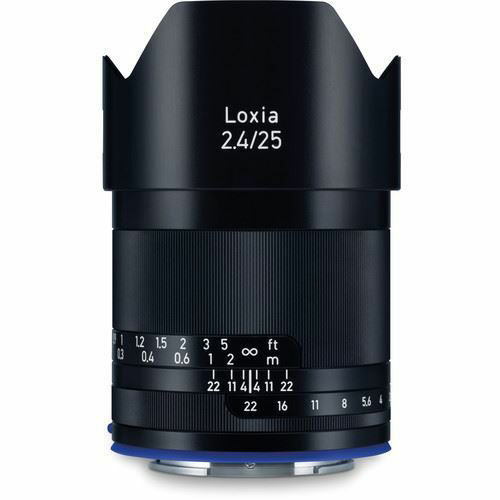 Loxia-series lenses are distinguished by their manual focus operation along with a manual aperture ring that can be de-clicked for silent operation; making them especially suitable for filmmaking applications. 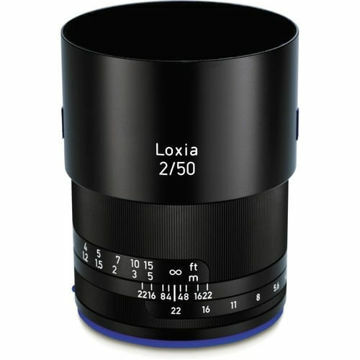 Loxia lenses are also characterized by their compact form factor and all-metal lens barrel, which incorporates engraved focusing and depth of field scales, for fine-tuned control. Additionally, the lens body sports a dust- and moisture-sealed design to permit its use in trying environments. Bright f/2.4 aperture helps to achieve a more compact, portable form factor while also remaining versatile for use in a variety of lighting conditions. Distagon optical concept affords high sharpness, well-corrected image quality from edge-to-edge, and very low field curvature. Two anomalous partial dispersion elements are used to significantly reduce color fringing and chromatic aberrations for increased clarity and color fidelity. One aspherical element controls distortion and spherical aberrations in order to produce greater sharpness and more accurate rendering. ZEISS T* anti-reflective coating has been applied to each lens surface to help minimize reflections and provide greater contrast and color fidelity. Manual focus design is benefitted by focusing and depth of field scales along with a 90° focus ring rotational angle and hard stops at both infinity and minimum focusing positions. Manual aperture ring has clicked indicators throughout aperture range. Using the included De-Click Tool, this ring can be mechanically 'de-clicked' for smooth, silent rotation throughout the aperture range; making it ideal for video applications. 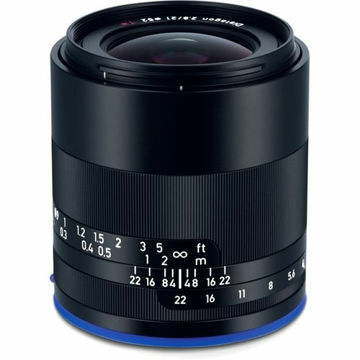 The lens mount is fitted with an electronic interface that conveys all lens Exif data to the camera and can also be configured to automatically activate the camera's focusing magnification function when turning the focus ring. 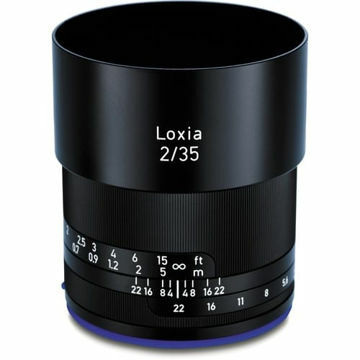 Box Dimensions (LxWxH) 8.9 x 5.25 x 4.9"
zeiss loxia 25mm f/2.4 lens for sony e imastudent.